I am very happy to receive an invitation from Dr. Martin Koller to write something on my motivation for PHA research, how the knowledge about PHA and PHA-related R&D has changed in the time since I started with this topic, and what my ideas are for the future of PHA. I take this invitation as an initiative to think the past and future of these fascinating materials. I started my PhD thesis in 1986 under the guidance of Professor Robert M Lafferty at the Graz University of Technology (TU Graz), Austria. At that time, as an organic chemist working on chemical synthesis of Nylon-6 under explosive or flammable conditions in organic solvents, I was very much attracted by the idea of using gentle conditions like aqueous phase, room temperature and normal pressure to make plastics. My initial research was on fermentation process development using Alcaligenes latus DSM 1122, 1123 and 1124 for production of copolymers PHBHV consisting of 3-hydroxybutyrate (3HB) and 3-hydroxyvalerate (3HV). At that time, ICI successfully launched the PHBHV product trademarked as BIOPOL, the whole world was enthusiastic for bioplastics as they seemed to solve the environmental and petroleum resource crisis. At the Institute of Biotechnology (today: Institute of Biotechnology and Biochemical Engineering) of TU Graz, I was able to interact not only with my supervisor Professor Lafferty but also with Dr. Gerhart Braunegg, Dr. Walter Steiner and Dr. Helmut Schwab as well as many highly talented PhD students. Dr. Gerhart Braunegg is the inventor of the gas chromatography (GC) method for qualitative and quantitative PHA determination. Although this GC method was invented and established in the 1970s, it is still the most popular method for PHA studies, as manifested by its numerous citations in the recent literature. For that all PHA researchers should pay respects to Gerhart. In addition, Gerhart has done some excellent works on using waste substrates for PHA production. He also actively promotes the concept of continuous fermentation for PHA production. This concept has an in-depth impact on my research career, which I will describe shortly. I left Graz in 1990 to conduct my postdoc studies in University of Nottingham in UK. My postdoc study aimed to use PHA as a matrix to encapsulate drug for sustainable release. Very soon we found that PHA in vivo degradation was too slow to meet the sustainable release goal compared with other polymers like polylactide (PLA), poly(lactide-co-glycolide) (PLGA) and human serum albumin. However, the flexible mechanical property combined with biodegradability and biocompatibility makes PHA a suitable material for implant tissue engineering applications, and this forms part of my career interest in my research conducted at Tsinghua University/Beijing where I become an independent principle investigator. High-value applications of PHA in areas of medical implant applications and smart material developments. Since the breakthrough in weakening beta-oxidation in Pseudomonas spp. by our lab in 2010, it has become possible to precisely control the structures of PHA either in the form of homopolymers, random copolymers or block copolymers. This will really achieve tailor-made PHA based on property requirements. Since Pseudomonas spp. are the strains used to generate the “PHAome”, the economy to obtain diverse PHA is very important depending on the ability to reach high cell density growth for Pseudomonas spp. In this area, Dr. Bruce A Ramsay has done some excellent researches to realize high cell density growth of Pseudomonas putida containing over 50% PHA. The contribution of Bruce also contains the efficient extraction of PHA from Pseudomonas spp. In the future, PHAome produced by high cell density growth of Pseudomonas spp. will allow diverse PHA be produced in economically competitive way. With the rapid developments of synthetic biology, many possibilities can be exploited to improve PHA production strains, including promoter engineering and ribosome-binding-site (RBS) optimization to enhance PHA content, minimized genome to, inter alia, increase substrate to PHA conversion efficiency, reprogramming cell growth pattern to accelerate cell growth, new pathway assembly for PHAome from glucose only, mixed substrate fermentation for single PHA molecules, morphology engineering the bacterial cell shapes for enhanced PHA accumulation and reduction on downstream purification cost. All of those efforts should lead to the significant reduction on PHA production costs. Since PHA production cannot compete with the petrochemical plastic industries as it suffers from high consumptions on energy and freshwater, discontinuous processing, low product concentration and thus high product recovery cost as well as low substrate to product conversion efficiency. Therefore, to make PHA production competitive, we need to develop fermentation technology which is energy and fresh water saving and run in a continuous way instead of a batch way. To meet this need, a seawater technology based on Halomonas spp. grown in seawater in an unsterile and continuous process has been developed. Since seawater contains around 35 g/L NaCl and Halomonas spp. prefer higher pH, the process allows Halomonas spp. to grow in an open and continuous way for at least two months infection free. This seawater biotechnology achieves fresh water saving, energy saving and reduces process complexity combined with use of low cost fermentors, it significantly reduces the production cost of PHA and possibly other bioproducts. The Halomonas spp. have been engineered to allow them to become a platform for low cost production of biofuels, biomaterials and chemicals. This vast diversity constituting the “PHAome” is waiting for exploitation. Except for very few PHAs that are commercially available from the market for application developments, such as PHB, PHBHV, P3HB4HB and PHBHHx, all other PHAs are produced by individual labs across the world in very small amounts for academic curiosity. Moving advanced materials like PHAs from the laboratory to the marketplace to address critical challenges in environment, energy, transportation, healthcare, and other areas of application concerns takes far too long, and at too high a cost. How to accelerate the pace of discovery and deployment of advanced PHA materials has been a central question for all researchers and stakeholders in this field. All these depend on the availability of the diverse PHAs in sufficient quantities and with consistent properties for studying their thermal and mechanical properties as well as other application potentials. It should be a global effort to establish platforms to supply diverse PHA based on PHAome information in sufficient quantities and material property consistency for various application developments. The understanding of the PHAome concept should allow us to construct a suitable bacterial platform that is able to provide consistent PHA molecular structures with less molecular weight variations for constant material properties. This is very important for commercial developments. I hope this information is helpful for PHA researchers. This eBook volume sheds light on contemporary R&D endeavors managed in various research institutions all over the world; these endeavors have one aim in common: Replacing established plastics usually stemming from the conversion of fossil feed stocks by “bio-inspired” alternatives provided by nature! The utmost significance of these endeavors shall be visualized by the annual pile of plastics of about 330 Mt produced worldwide; the predominant part of these plastics is highly resistant against (bio-)degradation, and only an evanescent share of about 20% of spent plastics is subjected to recycling procedures. Sustainable alternatives, so called “environmentally degradable plastics”, exist, but do not even cover 5% of the global plastic market. In addition, although very common today, the term “environmentally degradable plastic” is used highly ambiguously and often explicitly incorrectly; in many cases, so called “bio-plastics” do not conform to the attributes “biobased”, “biodegradable”, or “biocompatible”. Microbial polyhydroxyalkanoates (PHA), a versatile group of polyesters produced by nature as prokaryotic storage materials, are contemporarily attracting increasing attention as polymeric basic materials to be implemented in various fields of the plastic market. This fact is manifested by the nowadays exponentially growing number of scientific publications and patent applications related to this topic. Not only does the biobased nature of PHAs underline their significance for sustainable future developments, but also the high versatility, flexibility and adjustability of their properties, their biodegradability and, to a steadily increasing extent, their biocompatibility. To develop overall sustainable and efficient production processes, one has to take into account all single process steps, starting from microbiology and enzymology, selection of suitable inexpensive raw materials, optimizing process engineering and process regime, until enhancement of product recovery in terms of time-, energy-, and material input. My personal motivation to edit this eBook volume started already more than one decade ago, when I was doing my Master thesis on novel, ecologically benign methods for extraction of PHA from microbial biomass in the group of Professor Gerhart Braunegg at Graz University of Technology. Since then, I got more and more fascinated by these unique biopolyesters. Not only the multiple and complex metabolic roles, the multifaceted functions of PHA in divers ecosystems, the high diversity of PHA accumulating microorganism and the inestimable variety of different “plastic like” properties of different types of PHA attracted my attention, but also the variety of cultivation strategies in discontinuous and continuous mode which can be implemented to produce PHA in an efficient way at pre-defined composition and quality. Most of all, raw material aspects which need to be addressed to make PHA production cost-efficient for me always constituted the central field of interest; in this context, I had the honor to perform my doctoral thesis, guided by G. Braunegg, on production of PHA from whey as an abundant raw material in the frame of the EU-FP5 project WHEYPOL. After this project, several other research groups worldwide investigated whey-based production of PHA and other valued bio-products; this gave reason for a chapter dedicated to this topic in the volume at hand (see Chapter 2). Years later, we upgraded another industrial surplus material to a feedstock for PHA biosynthesis, namely waste lipids from the rendering and animal processing industry. Here, enabled by the EU-FP7 funded project ANIMPOL, our multidisciplinary and international consortium demonstrated how the utilization of this waste stream on the one hand contributes to minimizing waste disposal issues, and, on the other hand, provides for cost-efficient production of PHA biopolyesters and even positively contributes to biodiesel industry. As a common feature of all PHA-related research activities I carried out together with G. Braunegg, one should emphasize the strong industrial embedding in all projects, either as direct project sponsors, advisors, or as active project partners. At this point, I would like to take the chance to express my gratitude to all our industrial partners and financiers who enabled our research and, by cooperating with us, underlined the high industrial significance of this novel class of biomaterials. Coming to the core part of the two volumes of this eBook issue, all single steps, starting from the intracellular procedures on the genetic and enzymatic level, the selection of the adequate raw materials, the biotechnological production process including kinetic analysis and mathematical modelling, process engineering aspects regarding fermentation modes, feeding regimes and bioreactor selection, until the downstream processing for product recovery and refining have to be understood and optimized; this goes in parallel with market issues and holistic consideration of sustainability aspects. Fig. (1) illustrates the seven pillars which have to be addressed to come to efficient PHA production processes. 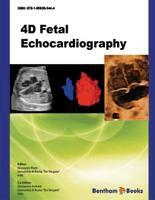 The volume at hand concentrates on microbiological, genetic, enzymatic, substrate-related and metabolic issues, whereas aspects of engineering (fermentation technology and downstream processing), kinetic modelling, and polymer characterization, as well as sustainability- and market issues will be the focus of the forthcoming volume 2. Fig. (1). The seven pillars of efficient PHA bioproduction. Although an increasing number of high-quality monographs and reviews are contemporarily published, none of these addresses all aspects of the holistic PHA production process in a comprehensive way. The volumes “Microbial biopolyesters – Production, Performance and Processing aspects 1 and 2” of the eBook series “Recent Advances in Biotechnology” address this shortcoming in sixteen articles written by carefully selected leading scientists and their associates, performing their work on three different continents. Of course, it was connected to considerable efforts to select the most outstanding groups for all special chapters. These research groups are since years or sometimes even since decades active in different scientific areas involved in this fascinating and strongly emerging field of research, as demonstrated by their tremendous number of related publications and patents. I am outstandingly happy and thankful to all these scientists for their willingness to spend their precious time in contributing to the work at hand. As a result, I am convinced that these two volumes are outstanding composites of comprehensive articles covering all single aspects which are nowadays recognized to be decisive for sustainable and efficient production of microbial polyhydroxyalkanoate (PHA) biopolyesters. In the volume 1 at hand, major attention is devoted to microbiological aspects to search for new powerful PHA production strains, and to implement mixed microbial cultures to combine removal of ingredients from waste water bodies with PHA bioproduction; further a special chapter is dedicated to photoautotroph microbes which attract increasing interest based on their high potential for solar-driven PHA biosynthesis from CO2. Genetic engineering as a tool to enhance the metabolic performance of PHA producing organisms is covered by another chapter. Due to the high importance of the carbonaceous raw materials needed as microbial feedstock for PHA production, several chapters provide either generic or specialized essays on this topic. The huge variety of different types of PHAs produced by various microbial strains allows for a vast range of different material properties, dependent on PHA´s composition on their monomeric level. This gave reason for different groups of authors to dedicate special chapters to well-described or novel PHA homopolyesters, and to the emerging field of medium chain length PHA (mcl-PHA), a fascinating new class of “biolatexes” and “bioelastomers”. Stanislav Obruca and associates from Ivana Marova´s group at the Technical University of Brno, Czech Republic, address the fact that the main obstacle until now preventing PHAs from finally succeeding on the plastic market is the still too high production cost, important portion of which is attributed to carbon substrate. These authors provide an extensive and up-to-date compilation of the incredible variety of inexpensive substrates which were globally investigated for their potential upgrading towards feedstocks for sustainable production of PHA. Hence, this chapter summarizes advances in biotechnological production of PHAs from various carbon-rich waste products stemming from different fields of industry, especially food industry and agriculture. Special attention is devoted to PHA production from inexpensive lipids, side streams from dairy-, sugar-, and biodiesel production, lignocellulosics, starch-based materials, diverse volatile organic acids, and exotic, precarious substrates such as petrochemical plastic waste. The authors underline that substrates for PHAs production should meet several basic criteria such as availability in constant amount and quality during whole year, stability, low cost of collection, transportation and processing, and emphasize that, for ethical reasons, application of raw materials for biopolymer production must be in no conflict with human food chain. The volumes of generated surplus whey almost equal to those of the whole milk processed for cheese production, and by far surmount the needs of its restricted classical markets such as animal fodder, pharmaceutical matrices, or additives in food production. As a consequence, enormous quantities of whey are contemporarily disposed in aquatic environments, provoking prevailing ecological concern due to its considerable biochemical oxygen demand, and high expenses for the disposal. This was the motivation for our article describing efforts in the past and nowadays to apply whey as a substrate for biotechnological PHA production. We show that, using different production scales, production strains and production modes, surplus whey can be upgraded to the role of a carbon feedstock for the production of PHB homopolyester or, by switching to advanced feeding strategies and application of powerful novel production strains, to tailor-made PHA co- and terpolyesters with customer-oriented material properties. Microbiological, engineering, and economic aspects of whey-based PHA production by meso- and extremophile wild-type or genetically engineered prokarytotic production strains are covered. The route needed to make efforts in this field competitive with current PHA-production on prized feedstocks of nutritional significance is presented. This competitiveness is addressed both in environmental and economic aspects. In addition, the chapter addresses also alternative routes for sustainable and value-added conversion of surplus whey, e.g., for generation of green energy carriers or various organic bulk- and fine chemicals. Gabor Rakhely and his colleagues from the Hungarian Academy of Sciences compiled a comprehensive review on the production of biopolyesters and related valued products from photoautotrophic microorganisms such as different purple non-sulfur-, sulfur photosynthetic- and cyanobacteria. The authors address the metabolic functions and particularities of anabolism and catabolism of these biomaterials in photoautotrophs and clearly visualize that these intracellular ongoing differ significantly from observations in heterotrophic PHA producers. Moreover, the authors present photoautotrophic PHA production by cyanobacteria and related organisms from simple, abundant carbon sources like CO2 or syngas as one of the most promising routes to enable efficient PHA production, and discuss the impact of addition of organic substrates to improve the PHA yield. With this chapter, the authors clearly show that application of phototrophic microbes definitely can be regarded as a serious strategy for efficient production of PHA homo- and heteropolyesters. PHA composition- and yield might be varied by the growth conditions and especially the illumination regime. Although at the moment the efficacy of phototrophic PHA production processes is significantly lower than for established technologies applying chemoheterotrophic microbes, it might be further improved by genetically modified strains and/or bioprocess optimization. Alternatively, waste utilization combined with CO2 fixation might also constitute a viable approach. PHA production by mixed microbial cultures (MMC) as an alternative to application of pure microbial cultures became the central point of many research works. 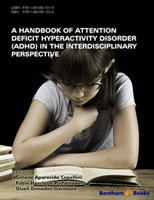 This motivated Luisa Serafim and colleagues from Portugal, to contribute the first comprehensive review on this topic. Firstly, they discovered wastewater treatment systems, namely those related with biological phosphorus removal, application of MMC became a process to be considered for polymer production intended to replace petrochemical derived plastics. The ability to store PHA provides microbial communities a competitive advantage for survival under transient conditions typical of waste treatment systems. By this way, MMC can continuously adapt to the operational conditions, increasing the share of PHA-storing organisms in the microbial community. As further benefit, this approach is connected to minimum requirements of sterility. MMC can produce PHA using organic waste or industrial by-products as substrates, allowing for their valorization. The use of waste, together with the lower requirements in sterility and process control, could signify a decrease on PHA production costs. This chapter intends to contextualize the use of MMC for PHA production, by describing the different approaches and comparing them with the traditional processes employing pure or genetically modified organisms. As a resume, the authors conclude that, although being challenging, PHA production by MMC constitutes a way of waste treatment through its valorization. Being PHA production a competitive advantage for microbial cultures, the enrichment in PHA-storing bacteria depends more on the operational conditions imposed to the process rather than the existence of sterility. PHA producing processes using MMC and waste as substrates could help to reduce the polymer costs but at the same time using the existing facilities of waste/wastewater treatment systems and residues on location could contribute to the overall profit of industries and waste water treatment plants. Christopher Brigham, Abdulrahman A. Kehail, and Jacob D. Palmer from the University of Massachusetts, USA, address the high versatility of the best investigated PHA producing microbe: Ralstonia eutropha (a.k.a., Cupriavidus necator). The authors point out two principal reasons for the popularity of R. eutropha for biotechnology: 1) the organism´s versatile metabolism and acceptance of a wide variety of carbon sources from sugars and lipids to carbon dioxide and aromatic compounds for growth and bioproductions, 2) its capability to store a large amount of carbon as intracellular polymer. The article further underlines that this strain is not only known as the model system for PHA biosynthesis and mobilization, but, moreover, R. eutropha is being used as a host organism for heterologous bioconversions, such as the synthesis of “Eutrophanol” as a novel biofuel. This chapter chronicles the key discoveries of R. eutropha biology and presents the biomanufacturing context that inspired many research groups to tailor the organism as a novel biocatalyst. The authors emphasize that there are still many challenges to be faced and to be overcome to develop bioprocesses with R. eutropha as the biocatalyst. Firstly, the costs of PHA production must be lowered significantly to compete with the cost of petroleum-based plastic as raw material. Secondly, to engineer heterologous biosynthesis pathways in R. eutropha, the path forward to high yield productions must be clear. Another fascinating PHA producer is described by the contribution of Hua Xiang from the Chinese Academy of Science: Haloferax mediterranei, an extremely halophilic archaeon has shown promise for the production of the copolyester poly(3-hydroxybutyrate-co-3-hydroxyvalerate) (PHBHV) from many low-cost carbon sources of industrial origin, and can be considered as one of the rising stars on the sky of biotechnology. This extremophile organism, originally isolated from Mediterranean brines, can be cultivated in highly saline cultivation media at almost zero sterility precautions and produces high-quality PHBHV copolyesters from unrelated carbon sources which, after biomass harvest, can easily be recovered from the bioactive cell material. To obtain a complete understanding of PHBHV biosynthesis and to provide novel strategies for PHA production by haloarchaea, the complete genome of H. mediterranei has been deciphered, and a genome-wide investigation of the genetics and metabolism of this ancient haloarchaeon involved in PHBHV biosynthesis was performed only recently in the past few years. This exploration covers the identification of key genes for PHBHV biosynthesis, the specific precursor supplying pathways, the PHA granule modulation, and PHBHV mobilization, as well as its linkage to haloarchaeal-specific acetyl-CoA and propionyl-CoA assimilation. These advances have not only revealed many haloarchaeal-specific enzymes and pathways for PHBHV biosynthesis, such as the archaeal-type PHA synthases, the haloarchaeal-type β-ketothiolases with two distinct subunits, and the novel 3-hydroxypropionate pathway coupling CO2 fixation into PHBHV, but have also provided strategies for bioengineering haloarchaea for economical production of PHBHV or for tailor-made PHAs of even higher value. In addition to PHBHV production, the chapter also reveals other valued compounds produced by this strain, such as carotenoid pigments, hydrolytic enzymes, xanthan-like polysaccharides, or antimicrobial halocins. Sergio Casella, Lorenzo Favaro, and Marina Basaglia from the University of Padova, Italy, emphasize that several phases of the PHA production chain can be identified where genetic tools can efficiently be implemented in view of possible industrial applications, starting from the microbial strain isolation and characterization, through all the biotechnological steps, until the downstream processing. Leaving aside the huge number of genetic modifications accomplished on many bacterial species to clarify basic biochemical, genetic and metabolic aspects of PHA metabolism, the chapter reveals that several intriguing attempts have been reported aiming at improving the performance of the microorganisms to be used for a possible PHA production process. Most of natural microorganisms can synthesize PHAs with varied monomers only at lab scale from structurally-related precursors, which are frequently expensive, not miscible in water, toxic even at low concentrations and high oxygen demanding. That is why researchers have addressed their attention to inexpensive and renewable unrelated carbon sources. Moreover, the exploitation of the metabolic potential of bacteria for the production of PHAs with tailor-made monomer composition from unrelated carbon sources rapidly became one of the main objectives. At the same time, the improvement of yield has to be faced not only with the modification of growth conditions, but possibly by re-engineering metabolic flux to drive carbon utilization toward PHA biosynthesis pathway.Most of the available information deals with the use of genetic tools for (i) characterization and identification of new isolates, (ii) testing new isolates for the presence of relevant genes involved in PHA production/degradation, (iii) metagenomic approach in complex environments for searching relevant genes (and strains), (iv) assessment of PHA genes expression and control of depolymerase genes, (v) metabolic engineering of producing and not producing bacterial strains, (vi) improving downstream processes, (vii) making PHA producing strains able to utilize different inexpensive carbon sources, (viii) cloning PHA genes in other recipient bacteria. The authors conclude that a wide range of bacteria capable of naturally producing PHA or those obtained through recombinant DNA techniques are not limited to those already described, but that many other organisms with desirable properties could be exploited in the future for producing recombinant PHAs. Bruce Ramsay contributes a chapter on a special class of PHA biopolyesters which attracts increasing attention due to numerous anticipated applications, namely on mcl-PHA. Accumulated only by a manageable group of related Pseudomonas species, these special polyesters are remarkable in their physic-chemical properties (especially low crystallinity and low glass transition temperature), structural diversity, chemical functionality, and areas of applications; the reader will learn that investigation of mcl-PHA properties and exploration of special fields of their application are still in their infancy. Mcl-PHA is highly water resistant, yet readily susceptible to enzymatic degradation. They can, inter alia, be used in packaging, “biolatex”, paints, toners, “smart adhesives” and in many biomedical applications but have yet to be produced commercially. Mcl-PHAs are most efficiently produced from carboxylic acids but can also be produced from many non-related substrates. Despite their numerous potential applications, mcl-PHAs cannot yet compete with the polymers currently used due to their high cost of production. 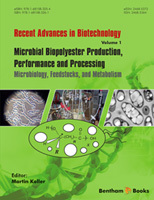 The author describes recent advances in the biotechnological production and downstream processing for product recovery, as well as strain development in order to improve polymer quality and finally to reduce PHA production cost by increasing productivity, which should soon lead to the adoption of mcl-PHAs by industry. The author also emphasizes the need to implement new, unprecedented engineering strategies to accelerate the market break-through of mcl-PHA, such as multistage continuous approaches to tailor product composition, or optimized oxygen transfer by pressurized bioreactor facilities in order to generate high cell densities which increases the overall volumetric productivity. With this issue volume, we wish to address scientists active in the field of biopolymer science, microbiologists, genetic engineers, and biotechnologists in general. The eBook is also dedicated to students of higher level which are involved in the fields of polymer chemistry, environmental science, biotechnology, microbiology, and overall life sciences; we hope that this eBook is helpful for you, and can give you some insight into the fascinating world of these multifaceted biopolymers! In addition, we strongly believe that the issue volume at hands also attracts the attention of representatives of polymer industry, agroindustry, and biofuel industry. Do you have a carbonaceous waste stream to be upgraded to a feedstock for PHA production? Do you want to get to feet on the ground of innovative polymeric products? Is it conceivable to construe your production lines as a “biorefinery” system, where material stream now undergoing cost-intensive disposal could act as feedstocks, hence, suddenly get a value? This might provide for the ignition sparks for a broader implementation of PHA biopolyesters on industrial scale. I supremely hope that the investigative and scientific efforts collected and summarized in this eBook will inspire researchers all over the world to intensify their activities in this area, and to attract the interest of undergraduates, graduates, as well as of innovative representatives from relevant industrial sectors. Most of all, these accomplishments shall contribute to accelerate the impatiently aspired market break-through of real “bio-plastics” which honestly deserve this designation. This eBook underlines that “bio-inspired” solutions for prevailing ecological problems are already developed by experts from the fields of engineering and life sciences, or at least in an advanced status of development; these solutions are waiting for their broad implementation in “White Biotechnology”! Again, I would like to cordially thank all contributors of this issue for their supreme work.